Isla Verde: Isla Verde is located in the best beach in the San Juan area. Isla Verde has many resorts, hotels and condominiums that line up Isla Verde Beach. This tourist area is 15 minutes away from Old San Juan and close to hospitals and stores. Condado: Condado is located between Isla Verde and Old San Juan. Condado is a tourist area and has many hotels and condominiums. Condado is 10 minutes from Old San Juan and close to hospitals and shops. 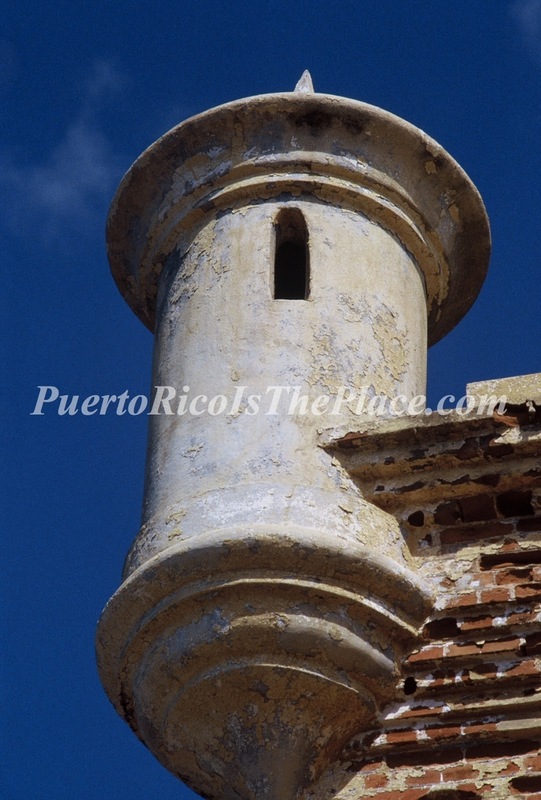 Humacao: The city of Humacao is located in the eastern coast of Puerto Rico and west of Vieques Passage. Palmas del Mar, the island's largest resort, is located here. Palmas del Mar also has real estate for sale. Rincon: Rincon is popular for surfers. Rincon is located in the West Coast of Puerto Rico, about 2 hours from San Juan. Rincon, is the place with the best surfing beaches in Puerto Rico. Many people stateside have moved here and have made Rincon their home. Vieques: The rural charm and pristine deserted beaches, have made Vieques a popular destination. Vieques, is an island 8 miles to the east of the main island of Puerto Rico, and South of Culebra, another island of Puerto Rico. Vieques is a 30-minute flight from San Juan. Culebra: Culebra is an island off the eastern coast of Puerto Rico. Culebra has one of the best beaches in the world, Flamenco Beach. There is very little commercial development on the island, because of its protective status. Culebra is about a 30-minute flight from San Juan. Fajardo: Fajardo is known for recreational boating in Puerto Rico. Fajardo has the largest Marina in the Caribbean, Puerto del Rey, and is a popular launching port to Culebra, Vieques, and the American and British Virgin Islands. Fajardo is located in the east region of Puerto Rico, and east of Luquillo. Dorado: Dorado is a small town in the northern coast of Puerto Rico, 15 miles west of San Juan. Dorado is a tourist destination with golf courses, hotels, and upscale neighborhoods. Cayey: If you like living in the mountains, Cayey is located on the Central Mountain range of Puerto Rico. Cayey has a cooler climate compared to the lower-elevation areas of the island. The mountain areas are less expensive than the coastal areas of Puerto Rico. Rio Grande: If money is no object, The Trump International Golf Club and Residences, might be your choice. The property is located in Rio Grande, in the north coast of Puerto Rico. The Trump International Golf Club and Residences is on a private penninsula, between beautiful beaches and the El Yunque National Forest. All residents have memberships to two 18 hole PGA Tournament level golf courses, designed by Tom Kite and access to the Trump clubhouse. Have fun searching for your favorite place in Puerto Rico! IKEA, the Swedish home furniture company, has opened a store in Bayamón, Puerto Rico. This is the first IKEA store in Puerto Rico. The IKEA Bayamón store is at the site of the former Ferreterías Massó store on Highway 2 in the Hato Tejas sector. The IKEA Bayamón showroom is 3,000 square feet. There was a lot anticipation in Puerto Rico when speculations about IKEA coming to Puerto Rico, but no official confirmation, made the news last year. Puerto Ricans living in the mainland, who would have to ship IKEA items to relatives in Puerto Rico, have been looking forward to this day. IKEA has already opened a 62,000 square foot warehouse in Carolina and activated the online shopping portal for Puerto Rico. IKEA plans to open a total of seven stores in Puerto Rico. If you enjoy gambling, Puerto Rico is the place for you. There are many casinos in Puerto Rico and the majority are located in the San Juan area. Even if you do not play, casinos are still fun to visit. The casinos are all located in hotels, have live entertainment, bars and the majority are open 24 hours. Casinos are open every day of the year, except Good Friday. Casinos are open to all whether you are a hotel guest or not, as long as you are 18 years old and properly dressed (no t-shirts or shorts). In Puerto Rico it is popular to go from casino to casino to people-watch, and enjoy the entertainment. Puerto Rico is known for being the most enjoyable gaming destination in the Caribbean. Enjoy the casinos and good luck! 1) Great Weather - Puerto Rico is in the tropics and the weather is always nice. Even when it rains, it is warm. The temperature averages 80 degrees Fahrenheit. Many visitors come to the island to escape the cold weather back home and chase the sunshine in Puerto Rico. 2) Puerto Rico is an island that has a lot to offer - From beautiful beaches, mountains, picturesque towns, to the small islands of Vieques and Culebra. 3) Great Culture - Puerto Rico has a lot of history, and a rich culture that centers around music. Music is very important to the island, from typical music like Bomba y Plena, to Salsa and Merengue music. Puerto Ricans are always ready for a party and music and dancing play a big part in their daily lives. 4) Delicious Cuisine - Puerto Rican cuisine was influenced by the Spanish, African and Indian inhabitants of the island. Puerto Rican dishes are seasoned with a combination of spices. 5) Easy to get to - Puerto Rico is a Commonwealth of the United States and all Puerto Ricans are U.S. citizens. This makes it easier to travel from Puerto Rico to the mainland.